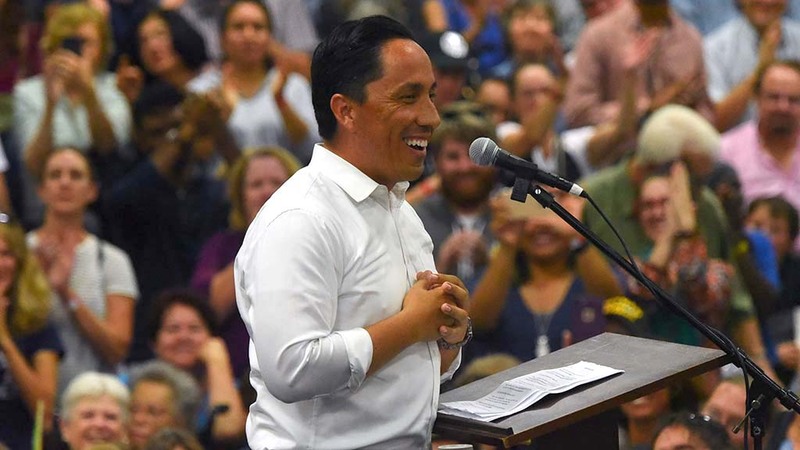 Assemblyman Todd Gloria, D-San Diego, was joined by state Superintendent of Public Instruction Tony Thurmond Wednesday in announcing a bill they said would help create a more supportive environment in the state’s public schools for LGBTQ youth. According to Thurmond and Gloria, the bill would mandate that schools provide annual training sessions and information to teachers and staff on how to best address LGBTQ students in grades 7-12 who are dealing with bullying, harassment or discrimination. Schools would also be required to offer services like counseling and inclusive curriculum materials. Thurmond and Equality California originally proposed a similar bill last year, which passed overwhelmingly in the Assembly and the Senate. But then-Gov. Jerry Brown vetoed the bill, opining that current laws regarding school resources for LGBTQ youth were sufficient and schools were welcome to go further than the minimum. LGBTQ rights activists balked at that idea at the time. Equality California Executive Director Rick Zbur said the state’s status quo “is failing California’s LGBTQ students and denying too many a shot at success.” A 2017 national survey by the Gay, Lesbian and Straight Education Network found that 82 percent of LGBTQ students heard homophobic or transphobic remark at their school and roughly 70 percent had been harassed or threatened for their sexual orientation. “Every child deserves a caring and supportive school environment, and we must continue to work towards closing disparities in health, mental health and academic outcomes for our LGBTQ students,” Thurmond said. Gloria and Thurmond were joined by Zbur and officials from the San Diego Unified School District at a news conference to unveil the bill, which the lawmaker’s office expects will head to committee in April.